RadioShack is currently running a coupon code (“RMN20”) that will save you $20 if you buy certain products that are $125 or more. 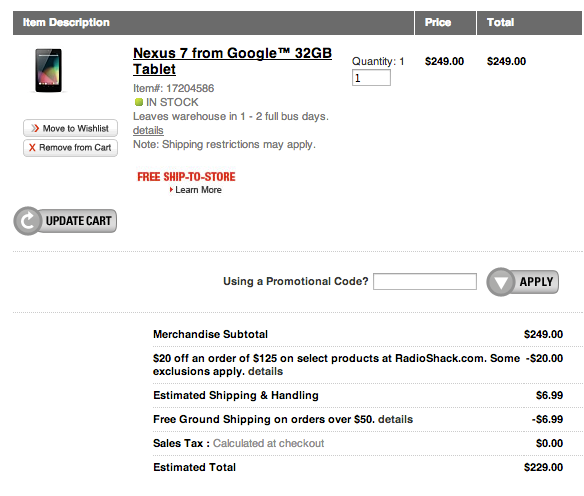 The Nexus 7 32GB fits that description and this deal, so if you want the newest version of Google’s tablet for $230, head on over. We aren’t sure how long the coupon code will be live for, so do it soon. Also, feel free to try it with other products.